We recently ran through a little list of the top five most weird iPhone cases, and while we had quite a bit of fun checking out the Banana Phone Case among other strange inventions, we’re now going to check out those slick, barely-there cases that protect without adding considerable bulk. If you’ve been reading our coverage here for some time, you’ll know that we’re big fans of minimalism, and if you wish to preserve your iPhone 6 / 6 Plus from scratches and such while also retaining the laudable form factor, then we’ve got yet another countdown just for you. The OGEAGO Ultra Thin Case not only lives up to its name in its slender nature, but is also completely transparent, so you don’t lose any of the handset’s aesthetic charm for the sake of protection. For $8.99 from Amazon, it’s also dirt cheap, and ships with a screen protector as well. 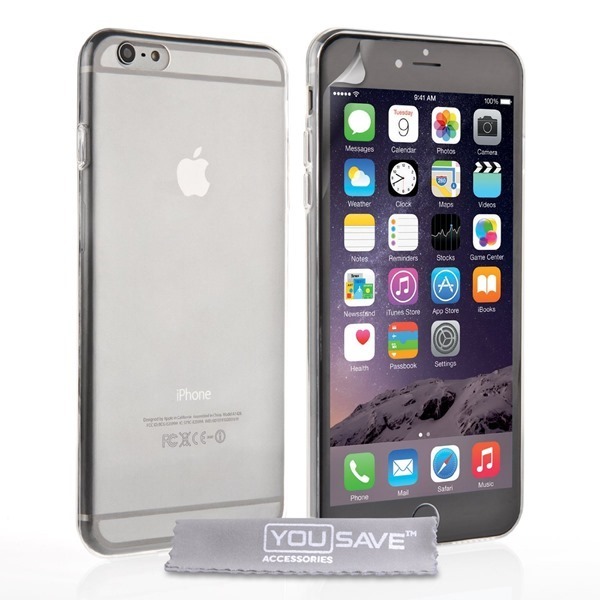 Sticking with the budget products once more, the Yousave case is the cheapest of our roundup at just $6.89 from Amazon. Again bundled with a screen protector, the case is scarcely noticeable, and at a price point that any and all iPhone 6 / Plus owners should be able to handle, may save your device’s life if and when you drop it. 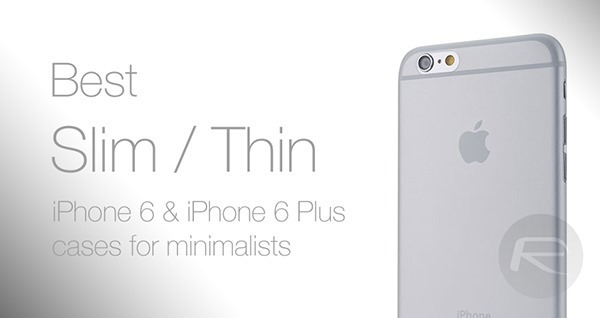 From the cheap to the pricey, the Peel range of thin skins for iPhone 6 and 6 Plus owners touts three different colors – black, gold and white – and each will set you back $24.99. They all look rather charming, and while you may wish to match the case’s shade with your particular configuration of iPhone, there’s no reason why you cannot mix and match. Arriving in clear, gray, blue and pink, the Shumuri case will cost $18.99 if you’re an iPhone 6 owner, and one dollar more if you’re rocking the larger model. 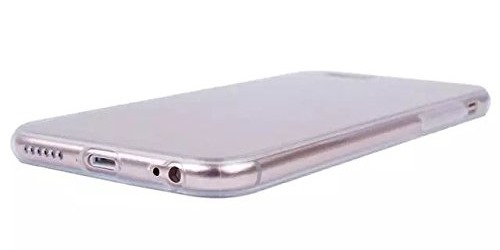 As with each and every other case mentioned in this roundup, the Shumuri Case is very, very thin, adding only 0.35mm to overall thickness, and with a frosted texture and anti-scratch protection, covers all bases at a very reasonable price. Completing our list is Caudabe’s The Veil case case, which, with its 0.35mm thinness, is just as svelte as the Shumuri. Indeed, for the cost of $14.95 (iPhone 6) or $15.95 (iPhone 6 Plus), you get a product that has been crafted with an equally laudable attention to detail and minimalism, although the trade-off is that color options are less varied. There’s ‘Frost’, which is clear-ish, and ‘Wisp’, touting a darker finish, and if you’re looking for something that offers a premium look and feel without that premium financial outlay, be sure to check Caudabe out. So, that completes the roundup, but which will you pick? 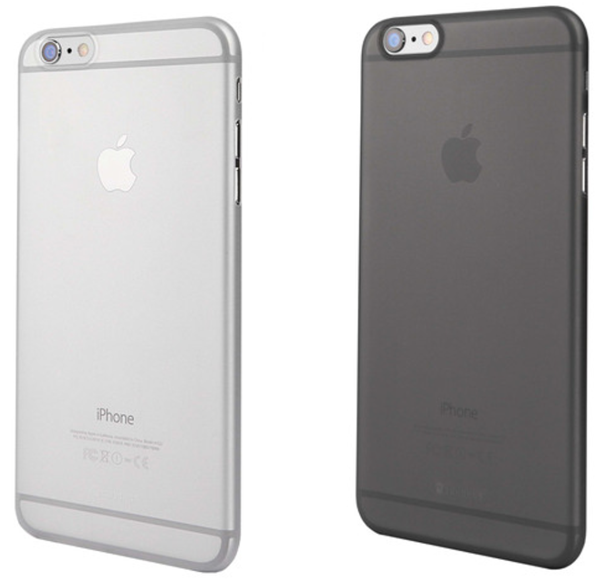 Or do you have a better suggestion for iPhone 6 casing? Should you feel that you have anything to add, please do pop a comment down below! And damage the camera lense if put down on its back. All an iphone case does is help protect against scratching ! If you drop it the svreen will still pop . Ringke Fusion FTW! Costs about $10 and has proper corner and front lip coverage as well as standoffs for keeping the camera lens unscratched. 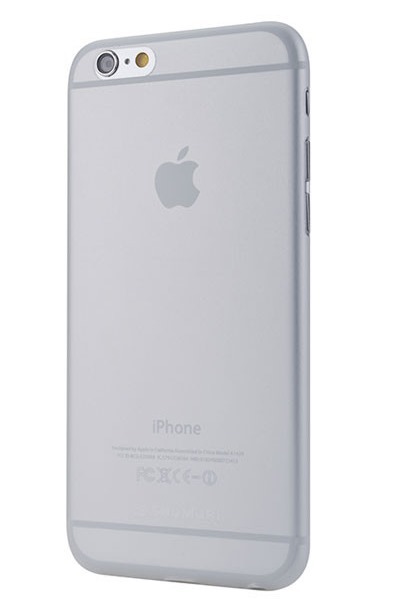 The best part as well are the Lightning port and headphone jack protection plugs that are built in. Comes in an awesome crystal clear finish as well to show off what you got. Amazing product, I wonder why it’s not on here? WHY DIDN’T YOU BELIEVE ME!?!?! That is true, I saw one of the Shumuri cases push an iPhone 6 Plus off the table one day. When the iPhone didn’t break upon impact, I then saw the Shumuri case push a coffee mug full of coffee off the same table and it landed square on the iPhone’s display, finally cracking it. You’d think that was the end but no, the Shumuri case wasn’t satisfied with what it had done. With the help of the Gold and Black Peel Super-thin cases, they all pushed the iMac that was also on the table over the edge and when it landed on the iPhone 6 Plus, it was mission complete. The whole display was shattered into pieces and the iPhone 6 Plus was ruined. My coworker never believed me when I told him what had happened but then again, my coworker didn’t heed the warning Caselicious posted about 5 hours ago either. Spigen neo hybrid for the win. But as some posters recommended Ringke I ordered it and will be getting it today. Let’s see how it works.